Stunning in Billet Silver Metallic Clear Coat, our 2016 Chrysler 300 C All Wheel Drive is the benchmark of perfection with an exceptional combination of performance, luxury, refinement, and efficiency. The award-winning 3.6 Liter V6 generates 292hp and is perfectly matched to an innovative 8 Speed Automatic transmission and comfort-tuned suspension to reward you with smooth acceleration, brilliant handling, and near 31mpg. Enjoy the allure of our 300 C with its graceful, yet aggressive stance that is highlighted by bold wheels, chrome accents, and bi-function halogen projector headlamps. A haven of luxury and technology, the cabin greets you with a wealth of amenities including remote start, dual-zone automatic climate control, a sunroof, a rearview camera, and heated and ventilated leather seats. Enjoy next level connectivity with the Uconnect touchscreen display with Siri Eyes Free, Bluetooth streaming audio, navigation, voice command, available WiFi, Alpine audio, available satellite radio and other top-shelf amenities as you take in this refined ride. You''ll have peace of mind thanks in part to excellent visibility and advanced safety systems such as traction/stability control, advanced airbags, and more. 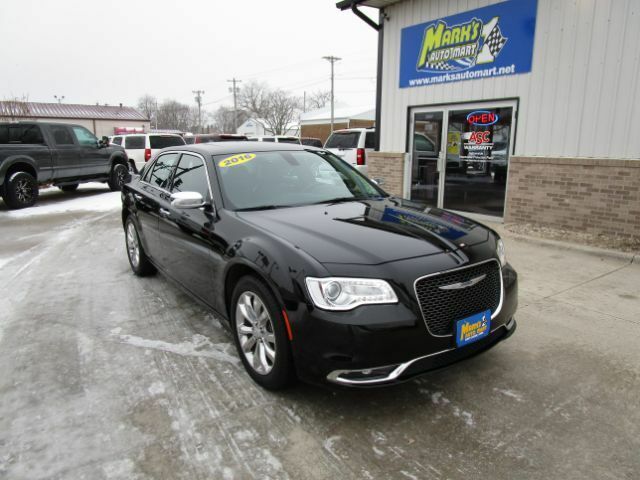 Capable and confident, our Chrysler 300 is a sedan with sophisticated style and a powerful presence you''ve got to feel for yourself! Print this page and call us Now... We Know You Will Enjoy Your Test Drive Towards Ownership!